Abhisarika Holidays is a popular Tour & Travel Agent in Guwahati, Assam that plans your tours for the North East India. We plan the perfect tours for our clients wherein we ensure their safety and entertainment. We strive to make their tour memorable by letting them explore the North East India which is a land of blue mountains, rivers and valleys, beautiful flora and fauna. 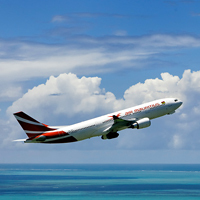 We have airline Booking services to take our clients from one destination to another. Our services are catered to all kinds of clients as per their requirements and comfort. You can travel either in business class or economy class depending on your budget. We book the cheapest flight fares for you so you could enjoy the places more than spending merely on fares. We are associated with all the leading airlines to serve your best purpose. We book domestic and international flight tickets for you.